Joye is a student for the Master of Leadership in Development Finance- online at Frankfurt School. 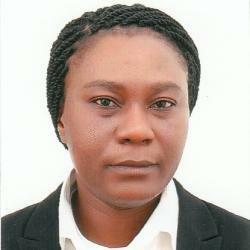 She is working for Sinapi Aba Savings and Loans Company Limited. After my master’s degree in financial engineering from the Mälardalen University, Sweden, I was employed to work in the corporate planning department of Sinapi Aba Savings and Loans Company Limited. Coming from a mathematical background, I find it intriguing working with numbers and formulae. My work schedule includes reporting institutional data to the Bank of Ghana, our lenders, our donors through data validation and analysis as well as corresponding with investors who are interested in investing in the institution. I also work on setting portfolio targets for all our 44 branches, monitoring the financial performance through trend analysis to ensure that targets are met and preparing the institutional budget with month on month variance analysis to ensure that we are on track. I was introduced to the program by a consultant who visited our institution from the Frankfurt School – International Advisory Services. After reading the brochure and getting extra information through the website, I was immediately convinced that the Master of Leadership in Development Finance – online is a program designed to give me the practical exposure to the work I do. 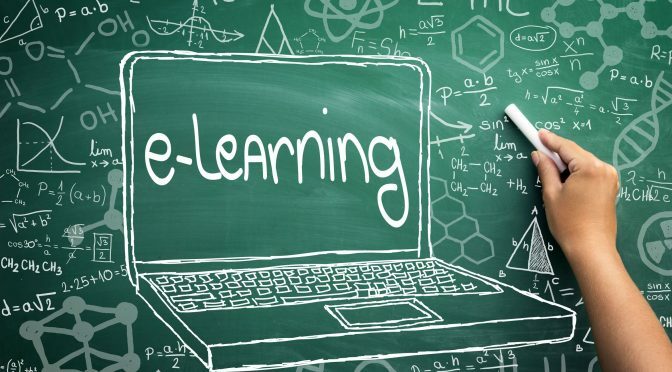 Although it is an online program, it sure feels like learning on – campus. The course structure, deadlines to quizzes and assignments, quick response to e-mails, webinar sessions with opportunity to interact and ask questions are all designed to give the student a feel of a classroom learning. The whole learning experience is superb; I remember calling the faculty when I needed clarification into an assignment that was given to us. I was surprised at the prompt response and the help I received. With my background, working for a savings and Loans company which just transformed from a microfinance institution in 2013, I find the course contents very diverse and applicable to my work since all my learning before then had been theoretical with no practical touch. A course in accounting gave me a great exposure into current trends in accounting with detailed insight into the income statement and the balance sheet, the progress from the 1AS 13 to the current IFRS system which our institution will implement in 2018 through its loan loss provisioning, calculation of relevant ratios that are needed to make realistic forecasting which has been of tremendous help to me since I work with the financials of our institution. Risk management was fundamentally covered with practical details on the principles and processes of managing risk in an organization, operational and credit risk management. The practicality of the program extends to the current models that are used in teaching which most consultants use for their day to day work in coaching bankers. An example is the CALMPRO model which is used for liquidity stress testing, balance sheet items used in calculating the liquidity coverage ratio, maturity gap analysis just to mention but a few. Vintage curves which are arrears – based portfolio statistics tool is also very educative due to its visual presentation through charts that can easily be used to interpret trends and figures. The diversity of the program extends to the contents contained in the courses taught in Microfinance, SME, Micro insurance, Development Finance & Growth and Change Management to mention but a few. This makes it relevant for anyone working in a financial institution (Credit Union, Microfinance institution, Insurance or Micro insurance Company, a Savings and Loans Company or a Bank). The leadership aspect of the program elevates it to a higher level which makes it germane to senior Managers and Chiefs (CEO’s, CFO’s, COO’s …) of institutions. Conclusively, I will recommend this program to everyone who wish to upgrade him or herself professionally while working from wherever he/she is in the world.